Exhale Spa & Salon will strive to provide you with the finest guest service & products in a professional atmosphere, catering to the body, mind and spirit. Our estheticians & therapists will introduce you to home care products to compliment your daily routine. Choose from a mini-escape to a full day of benefits. Founder of the award winning Wellington House Spa for Hair in 1972, and founder of Exhale Spa and Salon in 2003, Patricia is an entrepreneur in every sense of the word. She is an appointed Gold Level National Hair Judge and a member of the Judges Panel of Canada since 1993. Patricia is also the Ontario Representative and the National Technical Chairperson for Skills Canada. Patricia is a dynamic and experienced award winning hair stylist with the skill and techniques required for the best results. In a one on one personal consultation, her artistic ability to visually interpret and apply the most suitable style created for your individual needs is exceptional. Patricia has spent her life volunteering and raising money for many causes; Big Sisters, The Cancer Society, Hospice, South Lake Regional, Country Day School, Pickering College, Breast Cancer and since opening Exhale Spa and Salon in 2003, we have focused on the local cause, Coats for Kids in Bradford, Ontario and have provided thousands of children with winter warmth. Thank you so much for your ongoing support. Kate’s number one priority is YOU! With over 10 years of experience at Exhale Spa & Salon, Kate understands our clients’ needs and can design a package that will leave you relaxed and feeling fabulous. If you are a new client, Kate will take the time to go over our many services and recommend the service that is right for you. Her professionalism and friendly smile will provide comfort and confidence that your day will be exactly what you expect and deserve. In addition to keeping our clients happy, she also ensures that we have the latest products in stock. In her spare time, Kate enjoys spending time with family and friends, dining out, and following baseball. Relax with a soothing or therapeutic massage from one of our highly experienced massage therapists, Jeannine Paulos. Jeannine grew up in Bradford and has been with Exhale since 2007. She is a certified massage therapist from CDI College with additional certification as a Hot Stone Massage Therapist. Now living in Innisfil with her family she loves being a mom and volunteering at her children’s school. Jeannine enjoys walking, Yoga and travelling to Portugal every year. 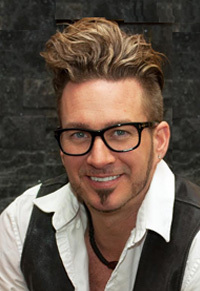 Co-founder of Exhale Spa and Salon in 2003, International Redken Performing Artist and Educator at the prestigious NYC 5th Avenue Redken Academy, New York, NY, Anthony invites you to experience his talent for the art of hair design, coloring and "hair dressing". You''ve seen him on City TV''s CityLine - Fashion Friday''s with Marilyn Dennis, Much Music, Breakfast Television, Toronto''s Fashion Focus, Strut magazine, Canadian Hairdresser and Salon Magazine as well as many local and national chairty events. He''s exceptional. Anthony will create a personalized image from any canvas whether it is "silk" or "burlap", respecting natural hair movement, individual head form, life style, physique, skin tone, and ability. Whether it is Fashion Forward, Avant-Garde, Classic, Romantic, or Natural,. Anthony will help you project the image that says "YOU'RE" the best! With a friendly and positive attitude, Kristina is passionate about taking the time for each individual client, adhering to their unique and specific needs. She takes extra care in helping them to choose the right services that will meet their requirements. Kristina is married with two children, and enjoys spending time travelling, swimming and growing her clothing business. 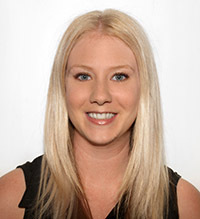 Nicole Billett has been an enthusiastic and dedicated massage therapist since 2004. She is committed to help meet your goals, whether to restore your body to function, manage chronic pain, or renew yourself through relaxation. 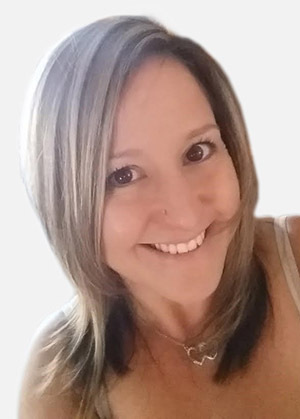 As well as utilizing classic Swedish and Deep Tissue techniques, Nicole has taken courses in Prenatal Massage, Hot Stone, Lymphatic Drainage and Aromatherapy to name a few. In future, she will continue to add new skills for client centred care. Outside of work, Nicole is an enthusiastic cook, swimmer, reader and traveller who loves the arts and visits as many galleries, theatres, and museums as she can. "now exhale, slowly and deeply"
Pampering our clients from head to toe is Yuliya''s speciality. Yuliya brings a wealth of experience and provides a variety of services such as basic & specialty facials, waxing, manicures and pedicures. 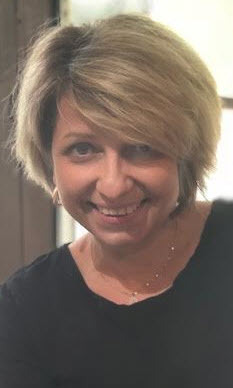 In addition to her certification from the European Beauty School in Toronto, she also has her licence in Esthetics and cosmetology from the Cosmetology Association in Halifax in Nova Scotia and a diploma in Esthetics from the School of Beauty in Tel-Aviv in Israel. Yulyia has one daughter and is married. She enjoys reading and learning about new innovations in the field of beauty. She is also fluent in English, Russian & Hebrew.